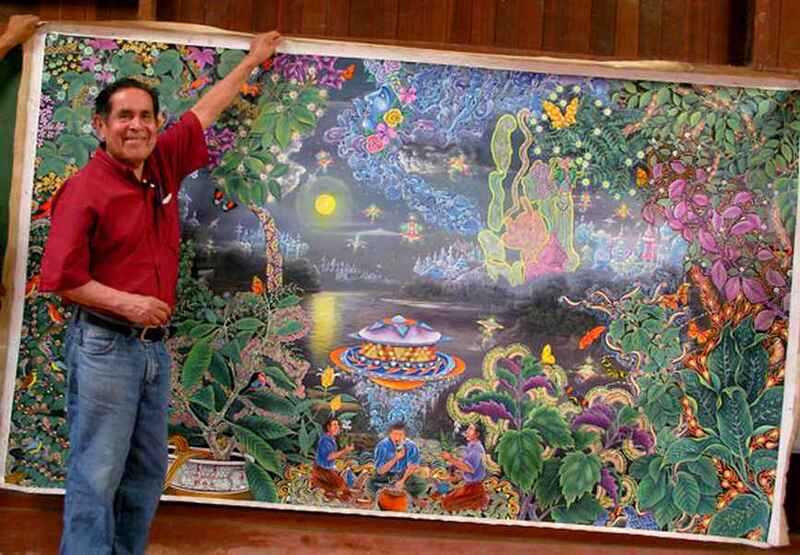 Pablo Amaringo was an acclaimed Peruvian artist who was the originator of a genre of colorful visionary art associated with Ayahuasca and the magical life of the Amazon Jungle. His paintings explored the relationships between man, dreams, and nature, and included fantastical representations of creatures, plants, and humans interacting with the natural world and the dreaming state. 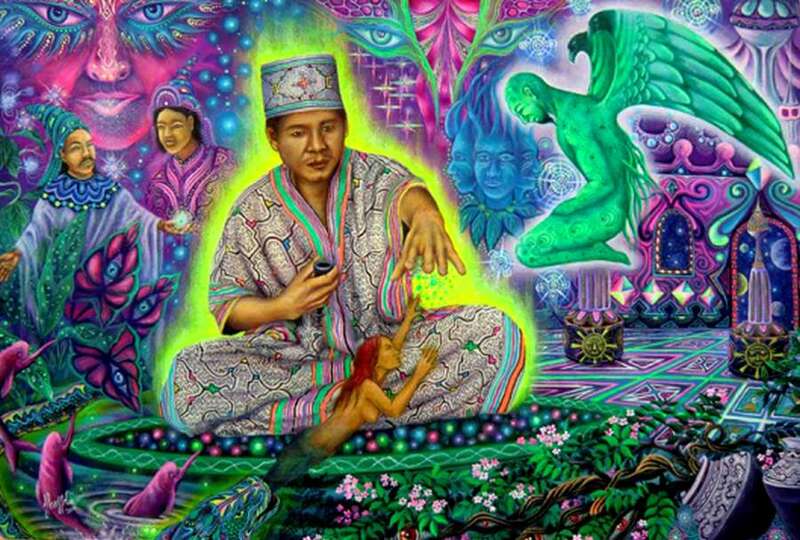 He received inspiration for his art from the inner journeys he experienced after drinking the entheogenic plant brew, Ayahuasca. Get to know Pablo Amaringo below. 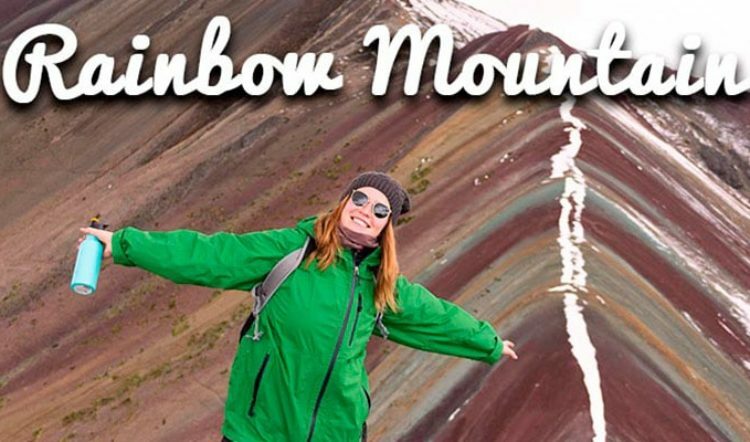 His art just may just inspire a new trip or stop in your Peruvian vacation itinerary. Mr. Amaringo was number seven of thirteen children, and was born in 1943 in Puerto Libertad on the banks of the Ucayali River near Iquitos. 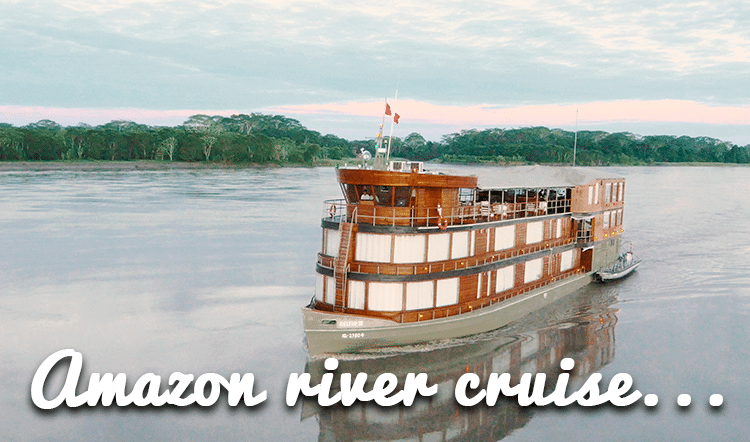 The family moved to Pucallpa to find work after becoming impoverished. Pablo suffered from severe heart problems after the move and became extremely ill; he couldn’t work for two years. He attributed his eventual cure to a local shaman, and also learned many healing techniques himself, gaining a reputation as a curandero and employing Amazonian plants as medicine. 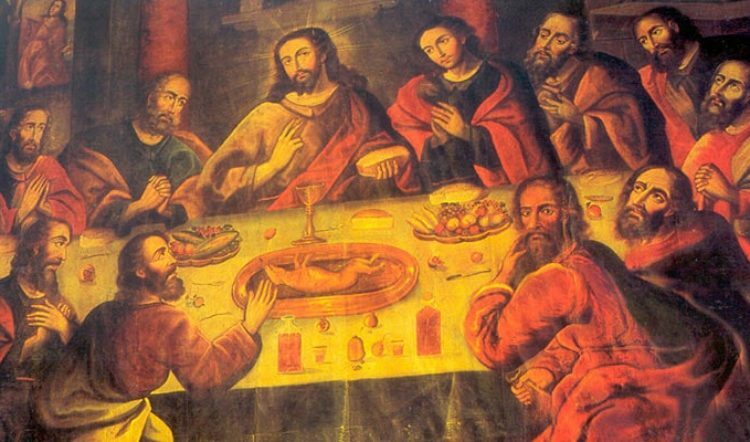 During the period of his recovery, he began to draw and paint. He could not afford paints, so he used the materials he had at hand, including cardboard boxes for a painting surface, lipstick from his sisters, and a blue substance called permatex that his friend brought to him from the car factory where he was employed. His work has been shown at galleries worldwide, and he was honored with the Global 500 Award from the United Nations environmental program in 1992. Pablo Amaringo died in 2009. Mr. Amaringo had many ups and downs as an artist. At a time in his career when he was selling only the occasional painting and making a scant living from teaching English, Pablo Amaringo had the good fortune of meeting the ethno-pharmacologist Dennis McKenna who happened to be in the area working on a project. Mr. McKenna suggested that he paint some of his visions. These paintings became part of a book project entitled Ayahuasca Visions: The Religious Iconography of a Peruvian Shaman, published in 1999. The included works are intricate and colorful, depicting jaguars, snakes, aliens, celestial beings, and spacecraft all converging and interacting among fantastically detailed jungle scenery. In an interview for a documentary film about Ayahuasca, Mr. Amaringo spoke of the questing nature of man, and his need to discover meaning in nature. He described shamanism as a system wherein the shaman receives his or her answers directly from nature, and uses that knowledge for healing and educating those within his sphere of influence. Mr. Amaringo founded a school known as the Usko Ayar Amazonian School of Painting in Pucallpa in1988, and taught his techniques to a number of young artists, including his nephew David Esquibel Amaringo, who continues to create in this genre. 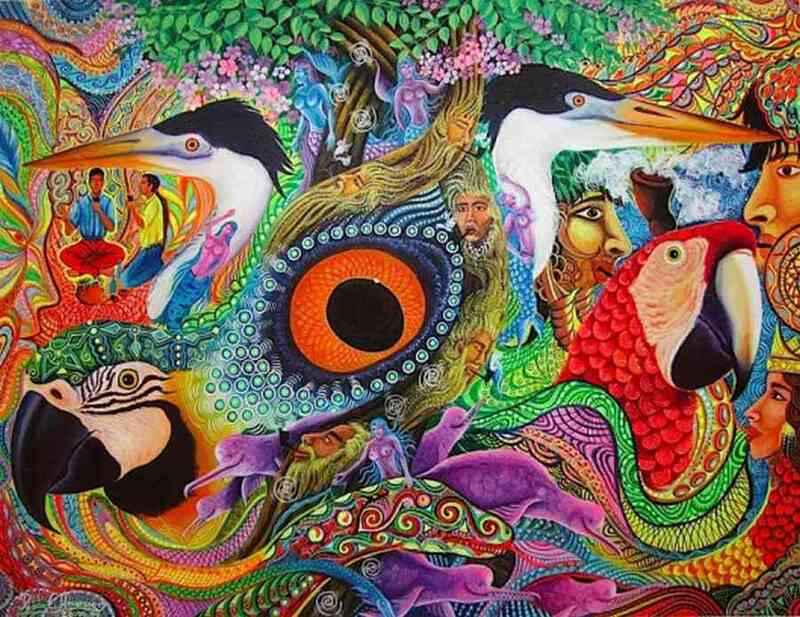 One does not have to take Ayahuasca to be transported by viewing the artwork of Pablo Amaringo, a true Peruvian visionary artist. 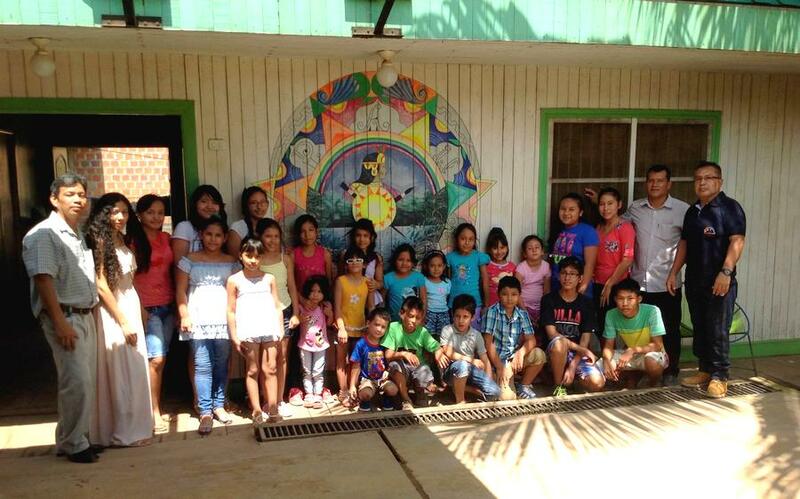 Paintings by other artists in Mr. Amaringo’s tradition can also be viewed and purchased in the Sacred Valley and in Iquitos, Peru’s largest Amazonian jungle city. For a peek at this style of art in advance of your trip to Peru, visit http://fineartamerica.com where you can find both original Pablo Amaringo works of art and reproductions. 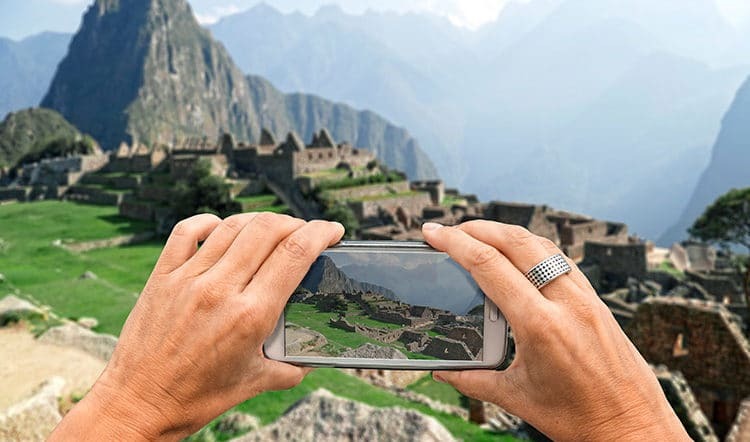 In the mean time, get your tailor-made trip planning to Peru started with one of our knowledgeable Kuoda Travel Designers. Contact us today.